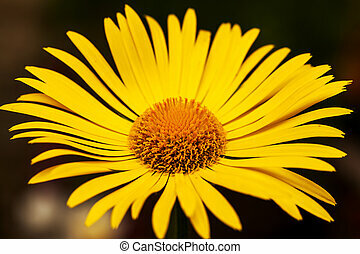 Bright yellow daisy. 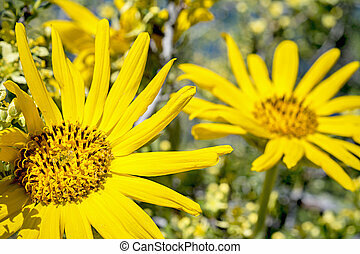 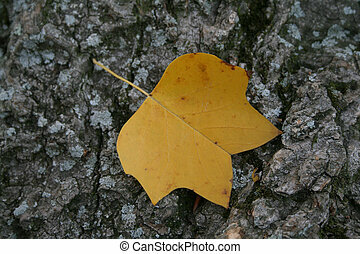 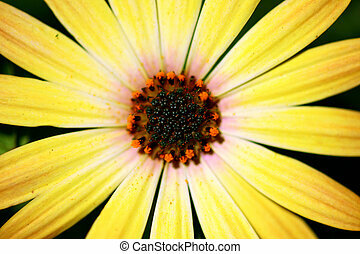 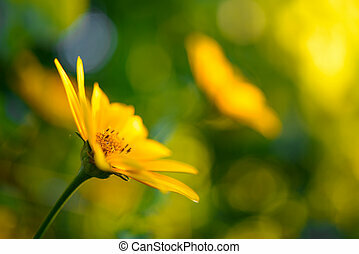 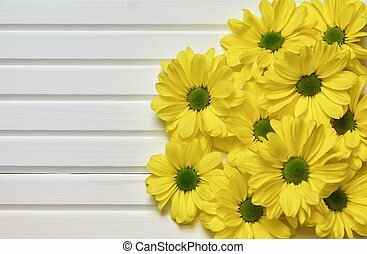 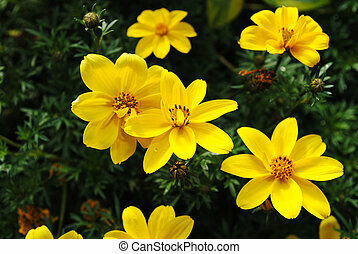 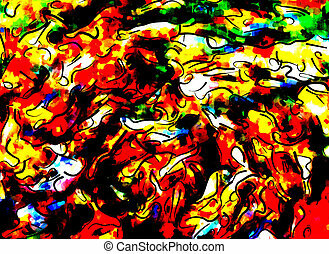 Background of a bright yellow daisy. 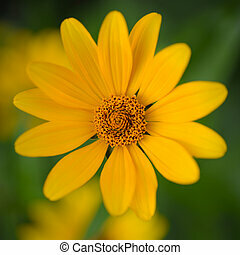 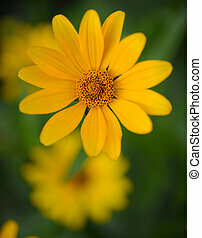 Bright Yellow Daisy Flower. 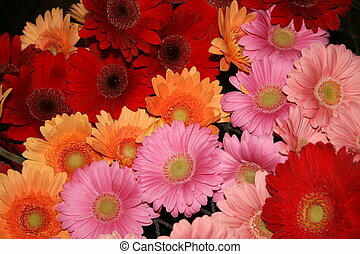 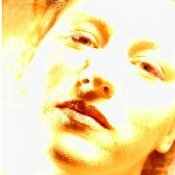 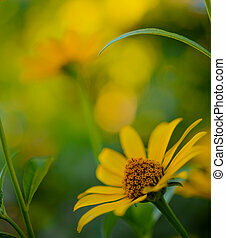 Floral Image with Shallow Focus. 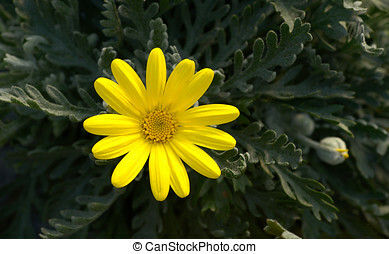 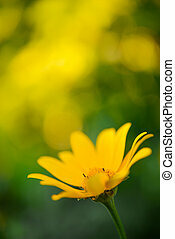 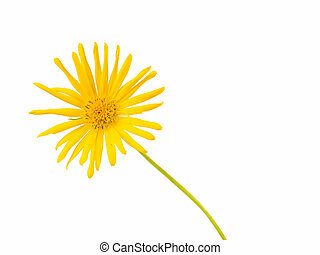 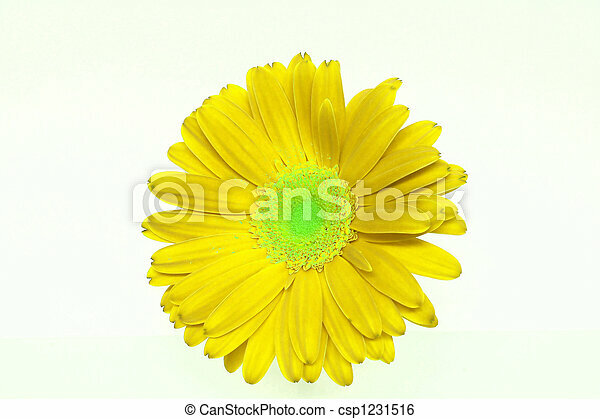 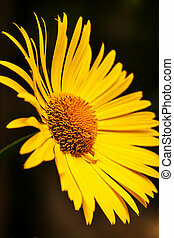 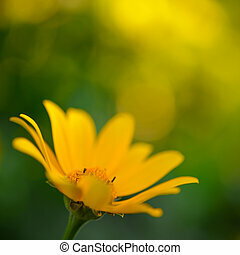 Bright yellow daisy flower isolated on dark background. 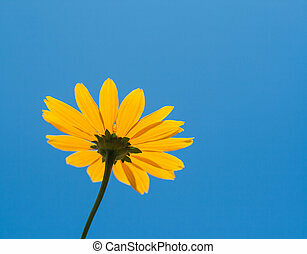 Bright yellow daisy flower on blue sky background. 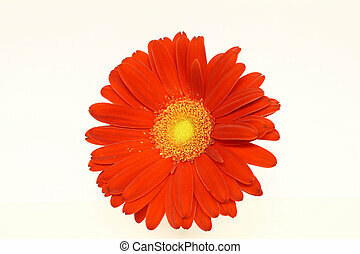 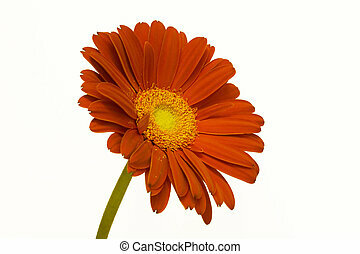 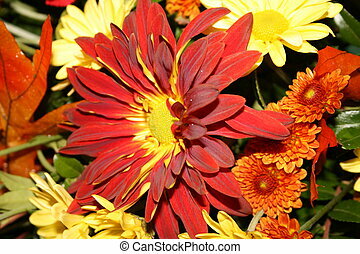 An upright orange daisy with yellow center.